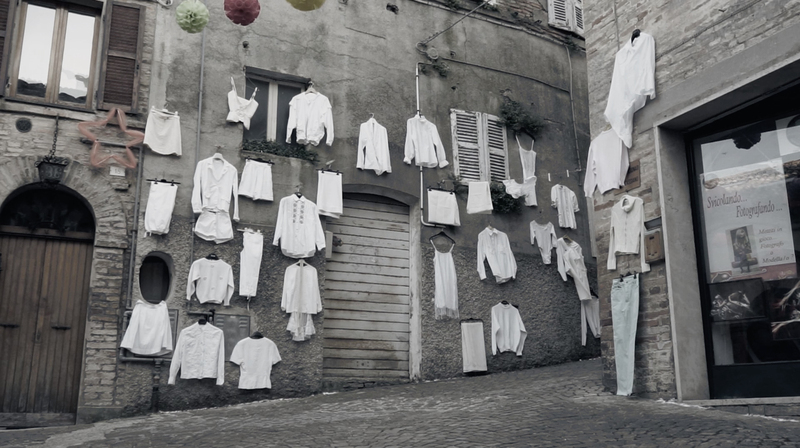 (un)Closet is an extempore installation created in Montecassiano (MC) at the XI edition of Svincolando Festival. The project, curated by Michele Gentili, is emerging as an attempt to provide a contemporary representation of the iconography of the small rural towns of the Italian in-land. Some clothing, donated by the local population, were placed on the wall of one of the abandoned buildings of the village. The point is to provide a lifeful imagery of the villages through the symbolism of those small domestic gestures that have always characterized the small communities.